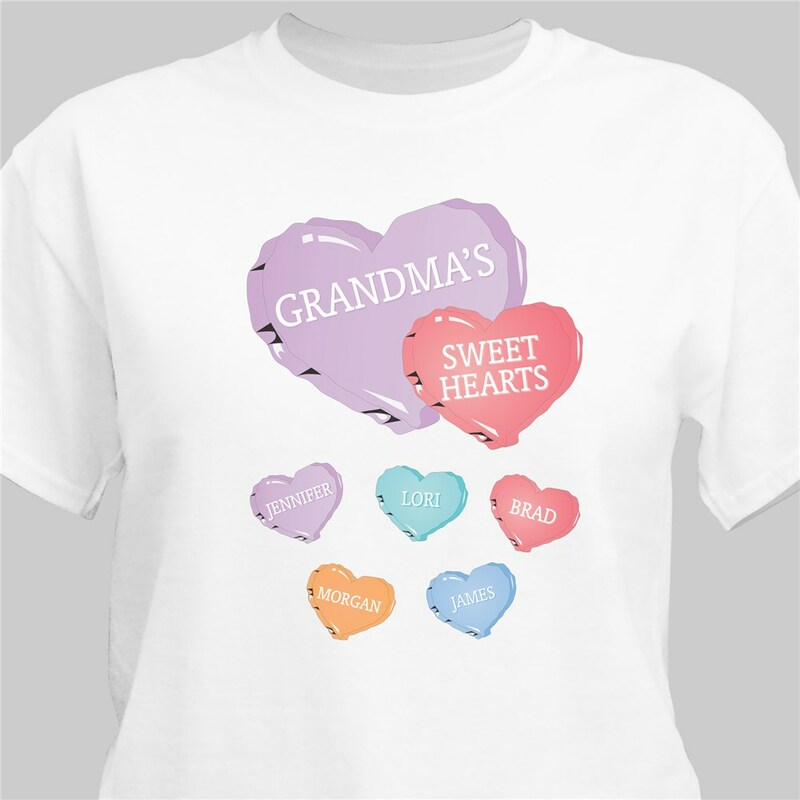 Your little sweethearts will always be close to your Grandma's heart when she wears this Personalized Grandma T-Shirt. Nothing says Valentine's like a personalizable candy themed shirt! Available on our premium white 100% cotton T-Shirt, machine washable in adult sizes S-3XL. Also available in Pink. Includes FREE Personalization! Personalized your Grandma t-shirt with any title and up to 30 names. I loved it & I know my grandmother will too! Like it very much. I unfortunately chose the wrong size but the correction was made very nicely. GiftsForYouNow offers many unique personalized keepsakes for your friends. Some of our most popular Friendship gifts are our Personalized Friendship Frames, Friendship shirts & of course our Personalized Friendship Keepsakes.